Okay, sorry, the title was total click bait. There was no trouble. And I’m not even sure these are trivets, technically. I just couldn’t resist the alliteration. 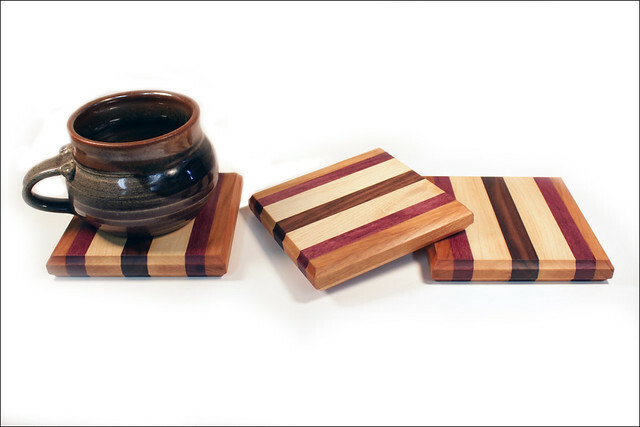 Here are three small (five-and-a-half inches square by 3/4) trivets. Or perhaps they are very small cheese trays, or maybe they are breadboards for a doll house at about one-third or one-quarter scale. Or super-thick coasters. The important thing is, I used up some scrap wood. 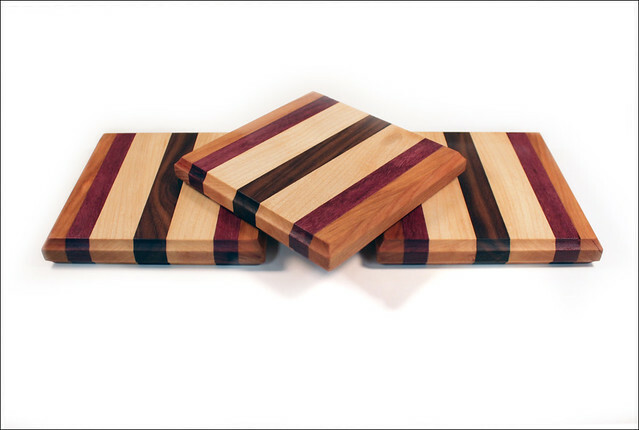 The wood species (working outward from the center) are walnut, maple, purpleheart, and cherry. All contents copyright 2019 Robert George Daniel. All rights reserved.